We don't have one, you will have to go out on your own to find one. We have a company we work with that provides phone systems for our clients — here is their number. We have own system, let me get you a quote. Don't be fooled: You will be held accountable no matter which of the above responses you choose. When — not if — something goes wrong, not only will you get calls from the customer but also the platform provider, phone number carrier, bandwidth carrier, and the wiring guys. There are many organizations that must work in harmony to provide your client a non-eventful, hosted VoIP platform. If any of these organizations fail to do their job the customer will blame you and, dependent upon your relationship with them, your business relationship might not survive. I have consulted many organizations that did not understand the level of expertise needed to properly provide a hosted VoIP platform and, as a result, suffered great financial loss. This is a risk not to be taken lightly. 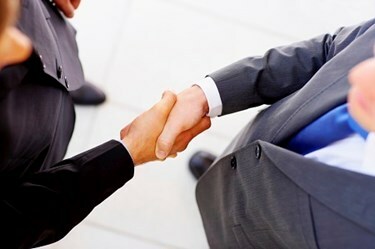 The cost of acquiring a customer is much higher than keeping one — except for the risk you take when providing your clients additional services including cloud, backup, carrier, IoT, and security services to name but a few. The same due diligence you originally went through setting up your MSP should be performed when selecting your hosted VoIP platform and its multiple business disciplines, as well as ancillary service offerings. There are essentially three different types of VoIP providers to partner with, and each can benefit an MSP in many ways. In all cases, the MSP will typically generate more revenue by assuming more responsibility. 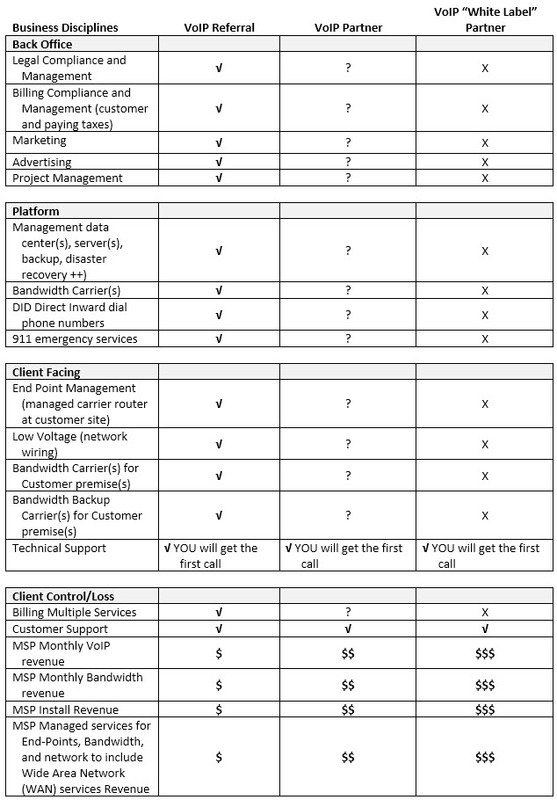 Utilize the following chart when interviewing VoIP providers. It’s important to consider long-time VoIP providers. They’ve already invested substantial capital (people and money) and have failed multiple times before they were able to offer a stable platform. Remember you are only as good “to your clients” as your providers are. In subsequent articles I will address each type of VoIP providers. Paul Daigle is president of Partner in VoIP, as well as a business development and salability specialist, constantly innovating at the forefront of technology, bringing more than 30 years of experience with the delivery of innovative and highly complex information technology innovation solutions to over tens of thousands of corporations.